A MAN who hurled his pregnant girlfriend from a car then drove at 160kmh on narrow roads near Tucabia to escape arrest has been jailed for 18 months. 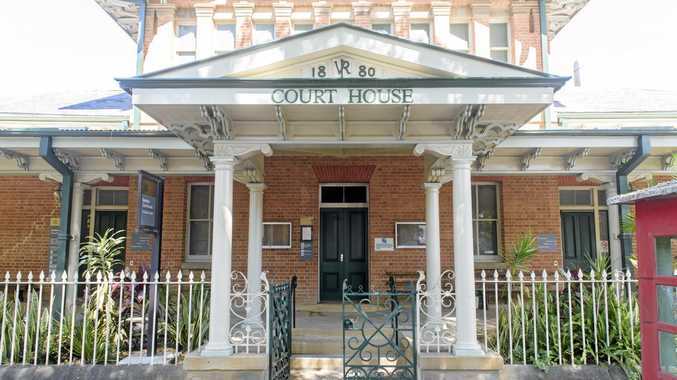 Grant Matthew Dodds, 30, of Raleigh, was sentenced in Grafton Local Court after pleading guilty to offences of assault occasioning actual bodily harm, driving while disqualified and driving in a manager dangerous to the public on August 10 this year. In handing down her sentence, Magistrate Robyn Denes said the offending began early in the day when Dodds, his girlfriend and their 10-month-old child were visiting a family member at Gulmarrad. Dodds became angry while waiting in the car and got out and began walking home. His partner, who was 29 weeks pregnant, went after him in the car and persuaded him to get back in. He then began smashing the dashboard with a crowbar and threatened to kill her. Police were called and found the victim with injuries inflicted during the assault and began searching for the car. Later in the day Dodds was stopped by police on the Pacific Hwy near Ulmarra. When they approached to within 2m of the car Dodds accelerated away down Coldstream Rd, reaching speeds of 160kmh in a 50kmh zone. Police did not pursue him for long, but estimated his speed reached 160kmh or more as he drove the roads between Tucabia and Wooli. Police caught up with Dodds on August 16 at a house in Ulmarra and charged him. In court yesterday his defence solicitor pleaded for leniency saying his offending had occurred after he had stopped taking medication for several days. He also noted Dodds had pleaded guilty at an early stage and was the major breadwinner for his family. The police prosecutor argued a jail term was a necessity because both the driving offences and the assault were serious matters. Ms Denes agreed the early guilty plea would give him a significant discount on his sentence, but noted the domestic violence offence was particularly nasty. "As often happens in domestic violence matters the victim is affected in different ways," the magistrate said. "It's not just violence that's used to gain power over the victim, but there's financial controls as well." For the charge of assault occasional actual bodily harm he was sentenced to 18 months jail with a non-parole period of 12 months dating from August 16, 2016. He was sentenced to 12 months jail on each of the driving matters. He is eligible for release on August 17, 2017.